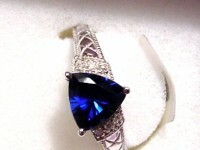 Truly a beautiful ring. 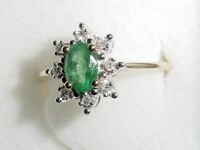 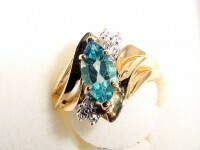 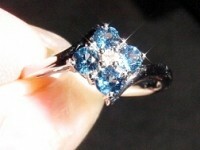 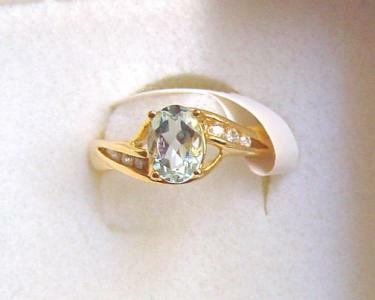 It has an oval Aquamarine with round Diamond accents in 10k yellow gold. 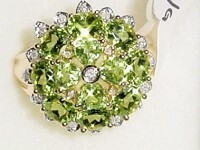 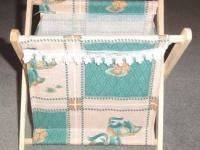 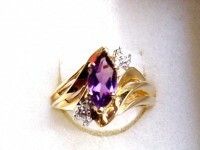 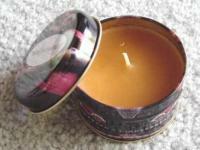 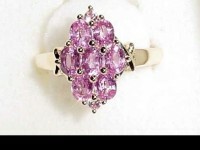 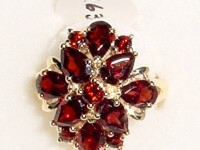 The size is 7 and can be sized by your jeweler for a perfect fit. 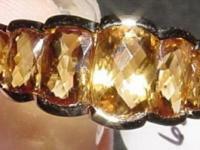 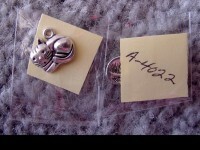 I am liquidating my jewelry line.